I have a weird love affair with Jewish food, if you didn't already assume by my unnatural obsession with matzo brei. I didn't grow up eating it--in fact, I wasn't familiar with it at all until about the end of my college career when I found myself in a long-term relationship with a sweet Jewish guy who had an affinity for taking me home for holidays and random weekends where feasts of tasty food were always waiting to be consumed. 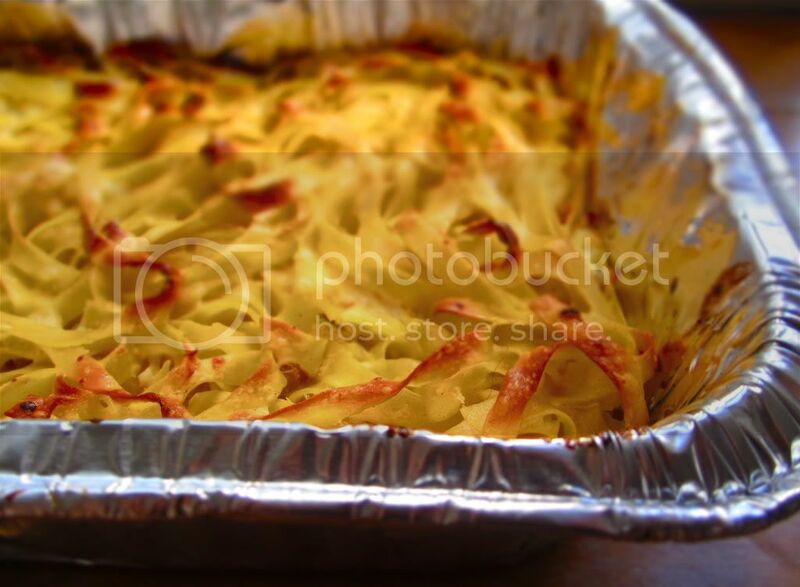 One of my favorite parts of those meals came in the form of a slightly sweet, baked noodle dish called kugel. It's a mixture of egg noodles, cottage cheese, sour cream, some sugar, a bit of cinnamon, eggs and butter that is thrown together and then baked in a very hot oven until the top is golden brown and perfectly crispy while the inside is transformed into a soft custard-like cake. And it is delicious. Some people say that nothing ruins a kugel like raisins do, and others think of raisins as a given. I included them in mine, but feel free to leave them out if you're not a fan. Put raisins in a microwave-safe bowl or small saucepan and cover with sherry or orange juice. Heat on stove top or in microwave oven until liquid is steaming hot (about 1 1/2 minutes in microwave or 3 minutes on stove). 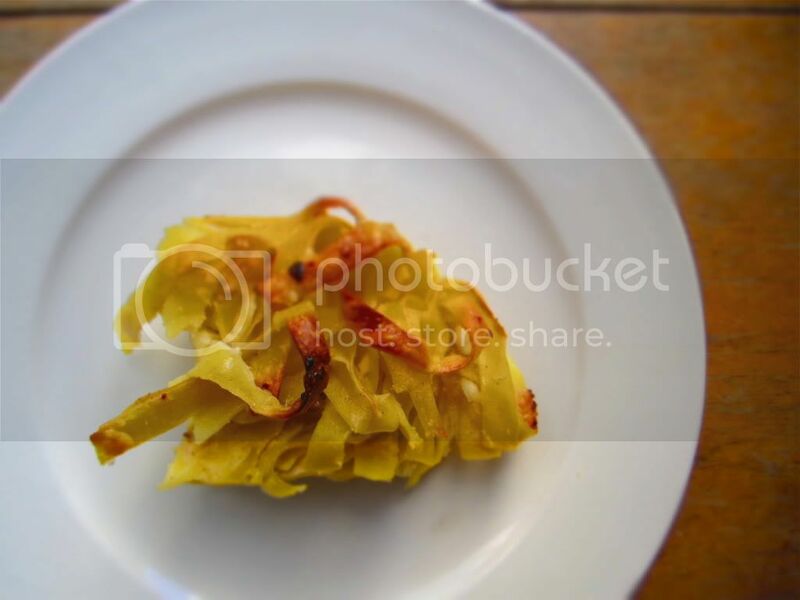 Let cool while you prepare kugel mixture. Preheat oven to 400 degrees. Butter an 11-by-17-inch jellyroll pan. Cook noodles according to package directions and drain well. Immediately return noodles to pot and add butter. Toss until butter melts. In a large bowl, whisk together the eggs, cottage cheese, sour cream, sugar, cinnamon, lemon zest and salt. Drain raisins and add to bowl along with buttered noodles. Mix well. Spread mixture in prepared pan and smooth top. Bake until top is crusty and golden, 25 to 35 minutes. Serve warm or at room temperature. Sounds delicious! Thank you for the recipe. what kind of camera do you use? your food photos always look so appetizing! Thanks ladies! Chantal--I use a Canon Powershot SD1400. It's the BEST point and shoot! kugel is by far my fav jewish food. mmm my mom's version is the best I have had yet. I will have to try this recipe.